4 August 1812: I went to town in the morning, got mare shod, some whiskey and flour. Drew in hay in pm. William Kindrick came to help us. I don't tweet and never go onto Twitter ... that is 'til now. Recently I was at the Archives of Ontario and found out how the past can be brought, not only into the present, but into today's social media. Back in 1812 Ely, who lived in York now Toronto, kept a very daily diary of his life. Each day was a very short description of his day and somebody at the Archives had a brilliant idea. Each of Ely Playter's daily notes was the perfect size for Twitter. So now Ely Playter, who now would be 236 years old, has his own Twitter feed @ElyPlayter1812 and I love checking him out every day. I think it's fun and interesting to take a quick look each day at life back in 1812. I don't log into Twitter, but have the link saved as a favorite. 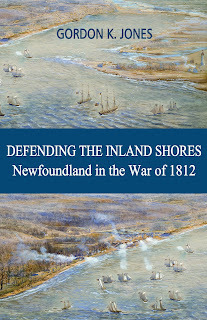 A War of 1812 diary, 200 years later. Learn about Ely Playter’s life in Upper Canada, his observations of the war, and more. Great idea Archives! This is such innovative thinking! I hope Ely's foot gets better. Here's a couple of more recent Tweets from him. 2 August 1812: Mr. Rogers was to see us. I was quite lame with my foot at home all day. Shower of rain PM. 1 August 1812: Smart rain in the morning and some the pm. I had poisoned my foot and it was much swelled.